Registration required, space is limited. Participants must sign up for a specific time. Treatments will last between 30-60 minutes depending on the individual. Acupuncture is a non-invasive, safe approach to treating a variety of acute and chronic disorders. During this clinic fine needles will be inserted into specific points on the ear. Stimulating these points can promote healing throughout the body. Acupuncture can improve your general sense of well-being while decreasing stress, pain, anxiety and depression. Effects can often be felt immediately or in the days following treatment. 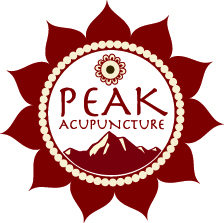 Rebecca“Beck” Shatles is a licensed acupuncturist in the state of UT. In addition to running a private practice, she works as an acupuncturist at the Huntsman Cancer Institute. When not treating others, she treats herself to as many powder days as possible.